Growing up, I had a friend whose bedroom was in the turret of her family's Victorian home. 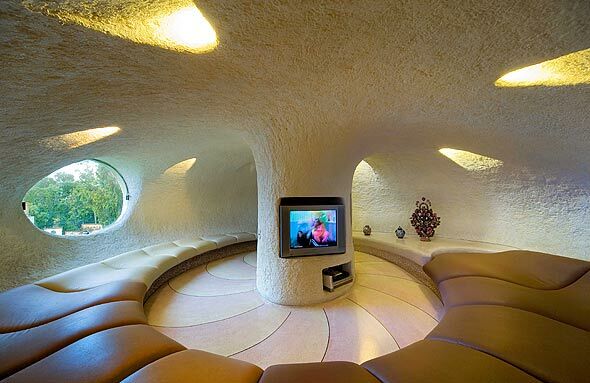 I always loved the rounded walls, and it made me question why every other room I'd seen was so... well, square. 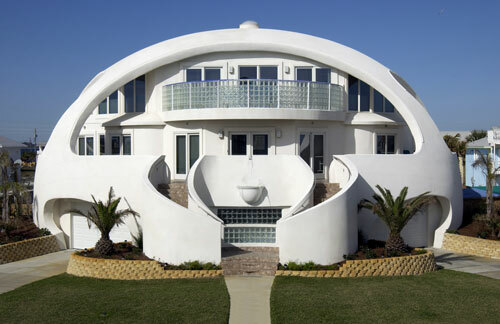 These buildings, though, take oddly-shaped living to the next level. 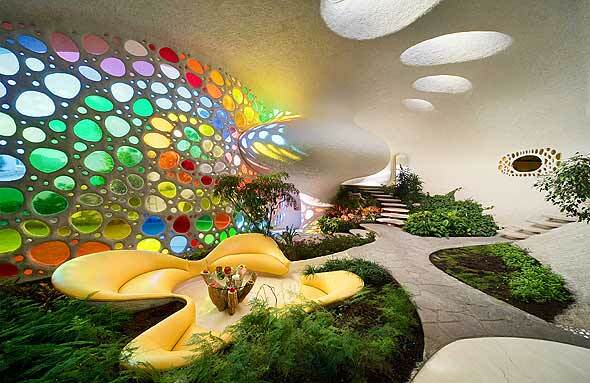 Javier Senosiain is a Mexican architect who has designed some truly outrageous buildings. 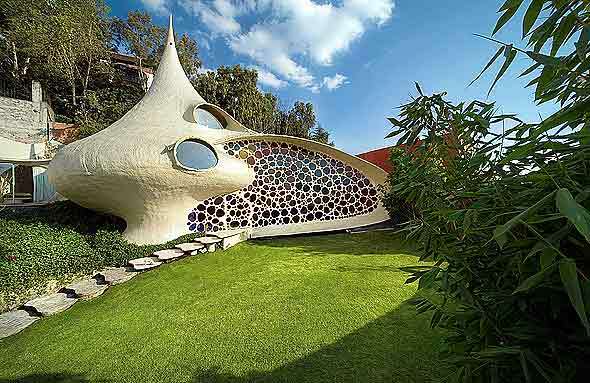 The Nautilus, built to mimic the comfort of a snail within its shell, is a family home in Mexico City that Senosiain completed in 2007. It's by far his most famous building, but you should really visit Senosiain's website to view more of his work. If the photography on the site had been of higher quality, I could have made this an entire post on Senosiain! 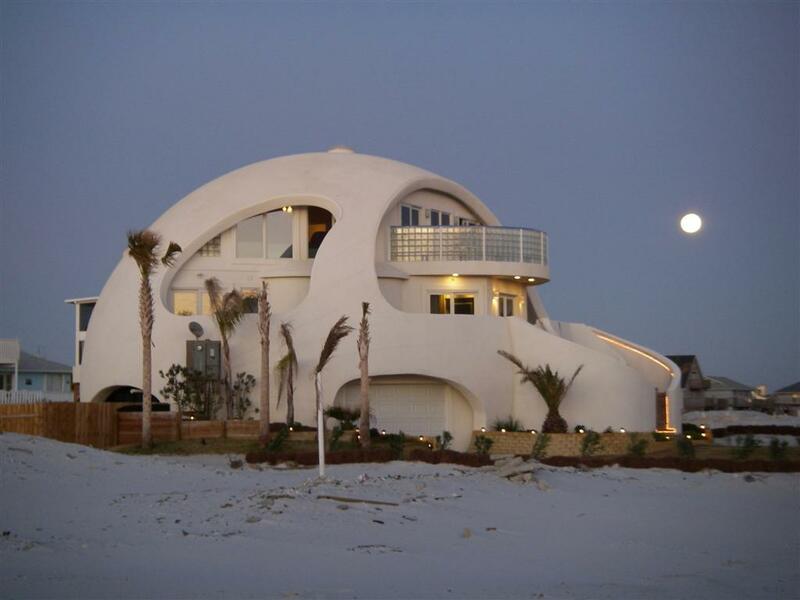 Dome of a Home is a vacation rental in Pensacola Beach, Florida, built by Dragon Speed Design Group, architect Jonathan Zimmerman and designer Robert Bissett. Dragon Speed builds customized domes and claims the shape is impervious to tornadoes, landslides, avalanches, earthquakes, fires, snow and ice storms. That may be so, but it still gives me a bit of a creepy, Roswellian vibe. 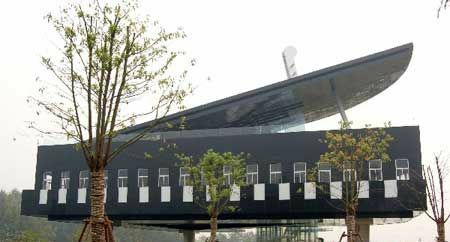 It's unclear as to whether anyone actually lives here, but the Piano House in An Hui Province, China, was built by the government to draw tourists to the developing region. 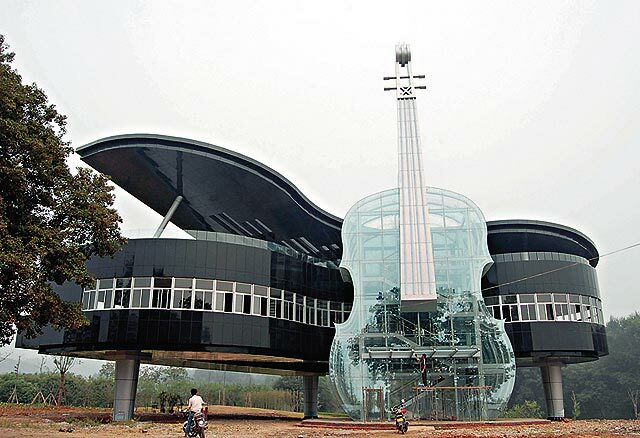 A staircase inside the glass violin takes visitors from floor to floor. So, would you live in any of these if you had the chance? I, for one, would gladly take up residence in The Nautilus.